Habit: Shrubby, scarcely branched, initially erect, later sprawling or clambering. 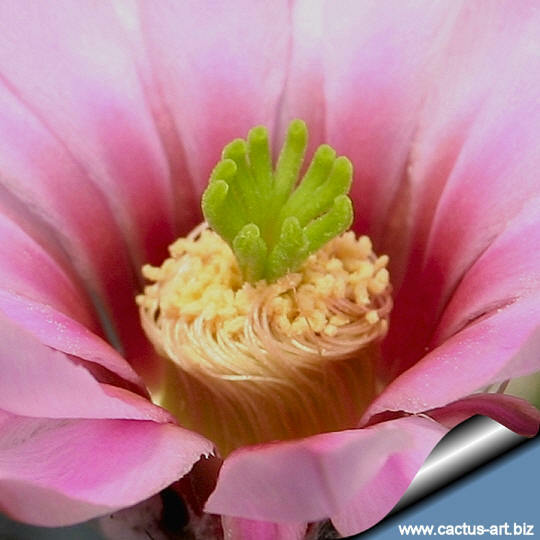 Phenology: Blossoming time: Late Spring/Early Summer. Notes: It apparently looks like some Peniocereus species. 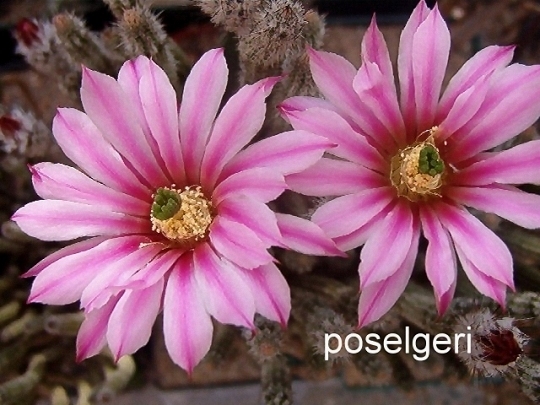 However the flowers, fruits, and seeds of E. poselgeri are characteristic for Echinocereus, somewhat comparable to those of E. reichenbachii. 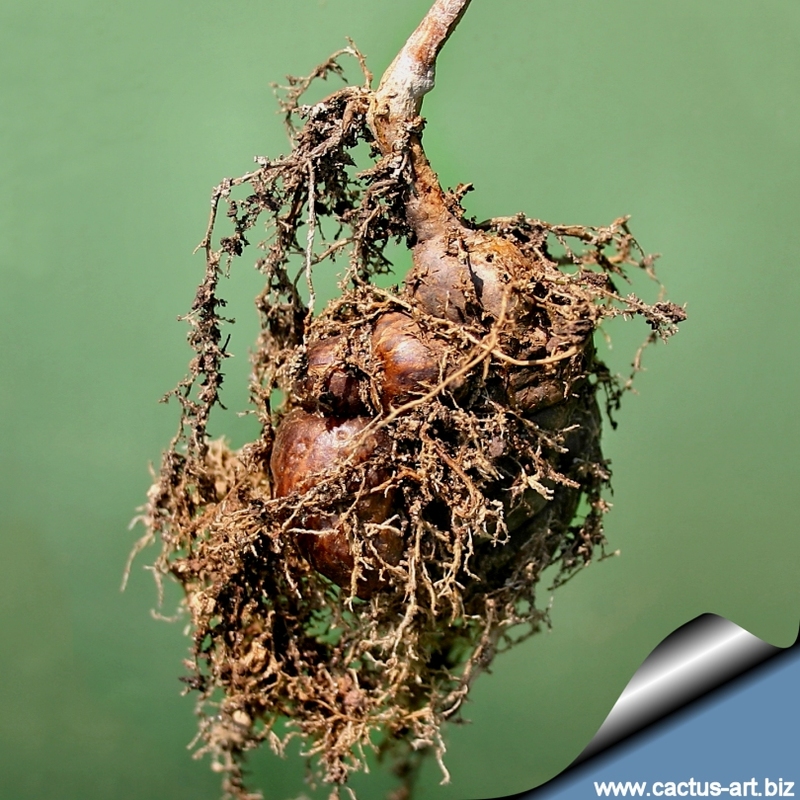 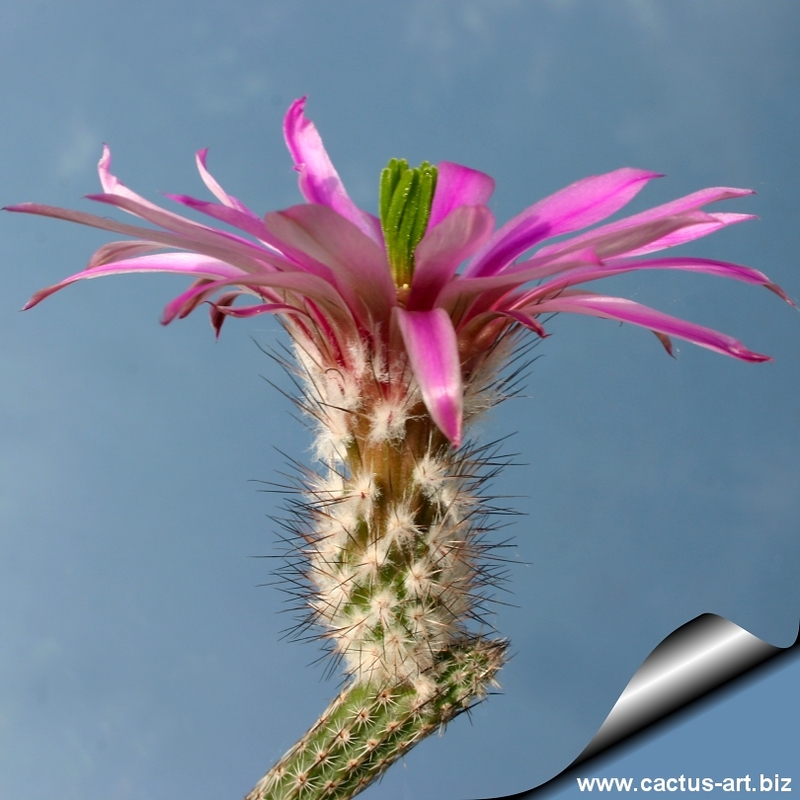 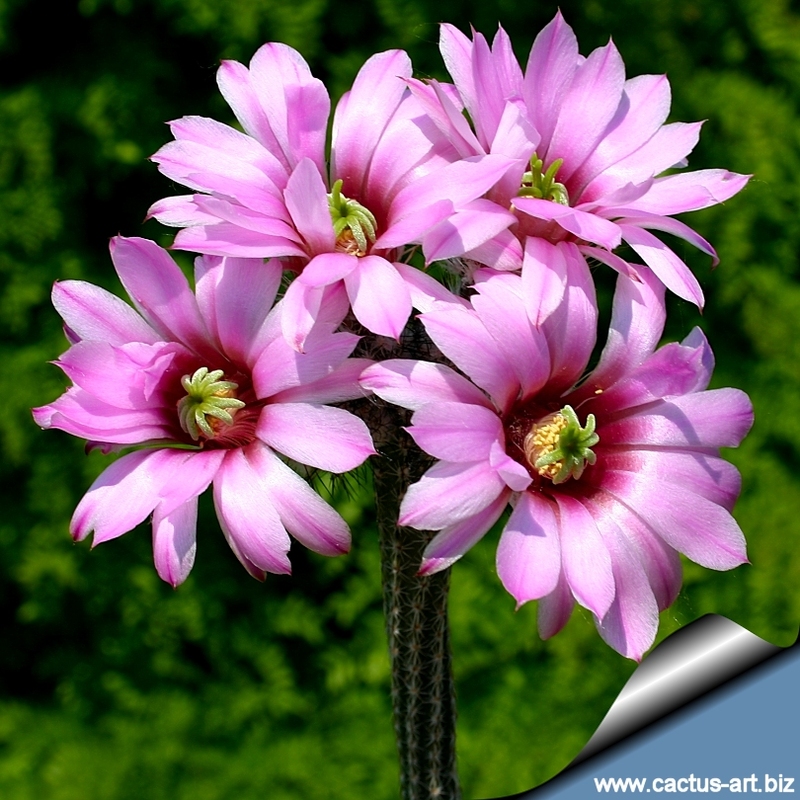 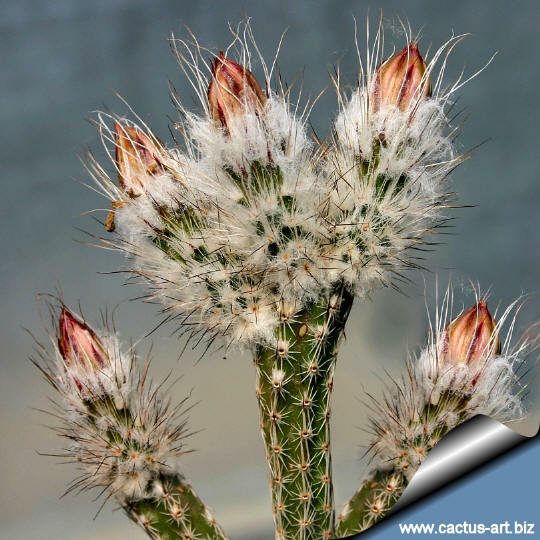 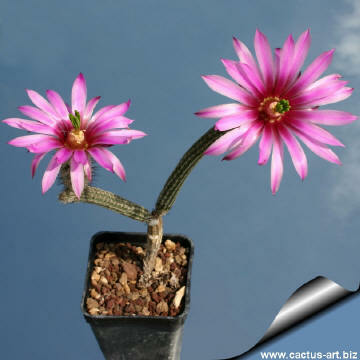 Vernacular name (s): Sacasil, Zocoxochitl Pencil cactus, Dahlia hedgehog cactus.